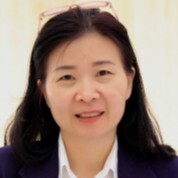 Thuy Bich Hoang has a Master degree in Public Management and Economics. She is the director of the Wildlife Conservation Society (WCS)'s Viet Nam program, which is working on the implementation of the USAID EPT-PREDICT - a project that aims to prevent, detect, and rapidly respond to the spillover of novel infectious pathogens from wildlife to humans. Thuy has extensive experience working in partnership with local Government in the human and animal health sectors, including on the prevention of avian influenza and emerging pandemic threats, and wildlife farming and conservation. She is familiar with participatory and competence-based capacity building, behavior change communication interventions to promote more protective practices and mitigate zoonotic risks in human and animals, using these as public health evidence to empower enforcement officers including police, forest rangers, customs, and prosecutors to combat wildlife trafficking. Thuy had also worked with USAID EPT1-PREVENT where she has engaged with different ministries and local partners in Lao PDR, Cambodia and Viet Nam to institutionalize policy change e.g. monitoring biosecurity practices for market improvement and at captive breeding farms.